46 Comments	This post may contain affiliate links. 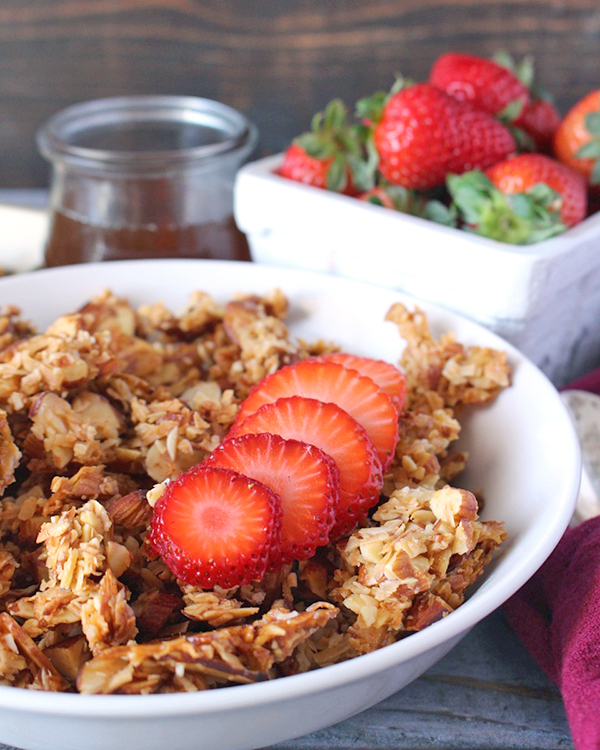 This Paleo Honey Almond Granola is simple to make, naturally sweetened, and so delicious! Perfect as a snack or breakfast. 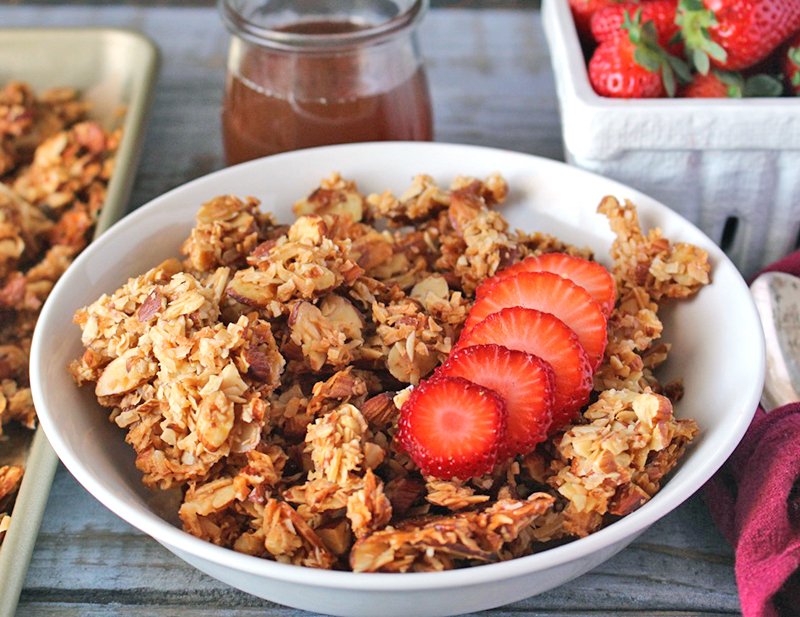 If you have never made homemade granola then you are missing out! It is so simple, quick, and much cheaper than store bought. 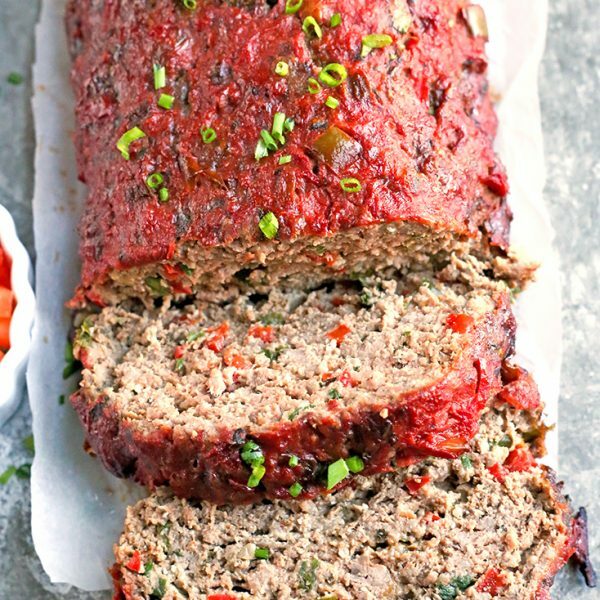 You most likely have all the ingredients on hand already and it only takes 30 minutes to bake. 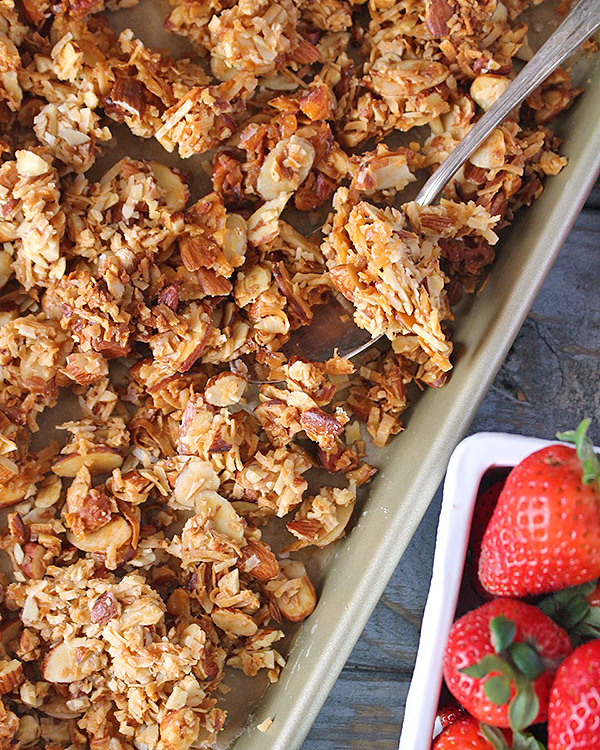 6 simple ingredients is all it takes to make this granola. Technically, almonds are used twice so only 5 ingredients. I used whole almonds that I chopped and sliced almonds that I bought. The combination works great, especially paired with the coconut flakes. Using coconut oil keeps this dairy free and since it’s just almonds and coconut used, it is also naturally gluten free. There are no special flours or hard to find ingredients necessary. How simple! I love granola that is full of big clusters. 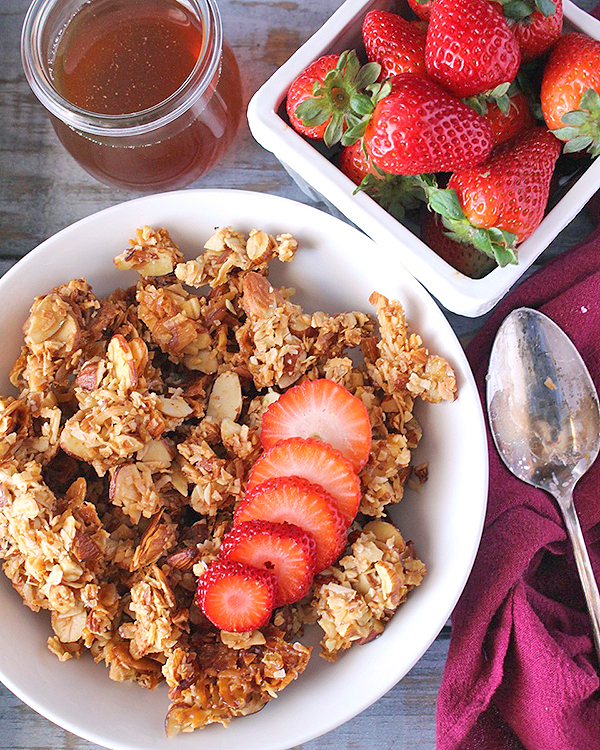 The more clusters the better and that is exactly what this granola is. To make it that way, I let is completely cool on the sheet tray without stirring it. Once cool, I break it into pieces. If you don’t want big clusters then just stir it right when you remove it from the oven. 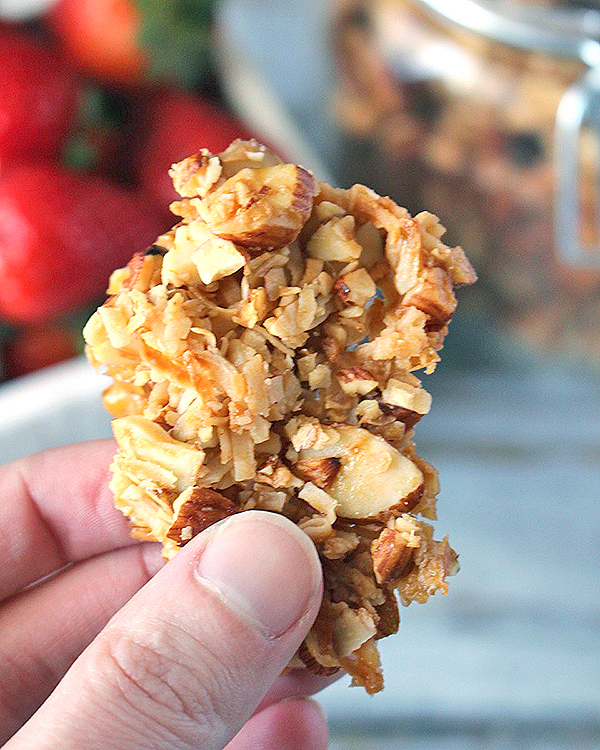 You will love this quick, delicious granola! Gluten free, dairy free, sweet, and great for snacking. 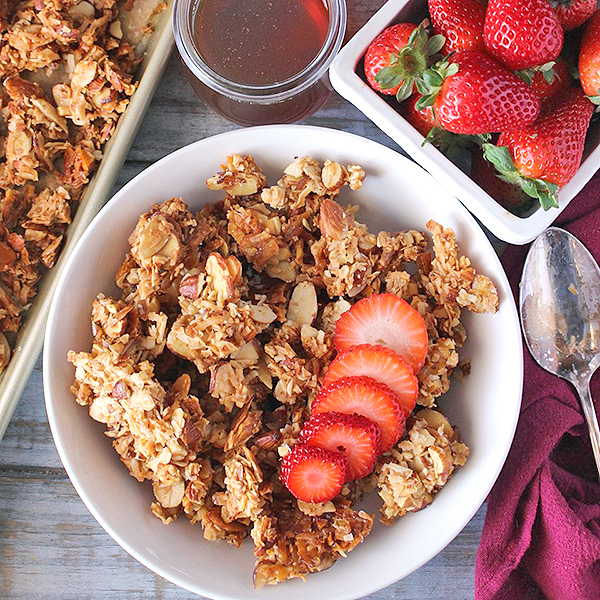 Here are a couple other granola recipes you may enjoy! Paleo Cinnamon Granola and Paleo Pumpkin Granola. 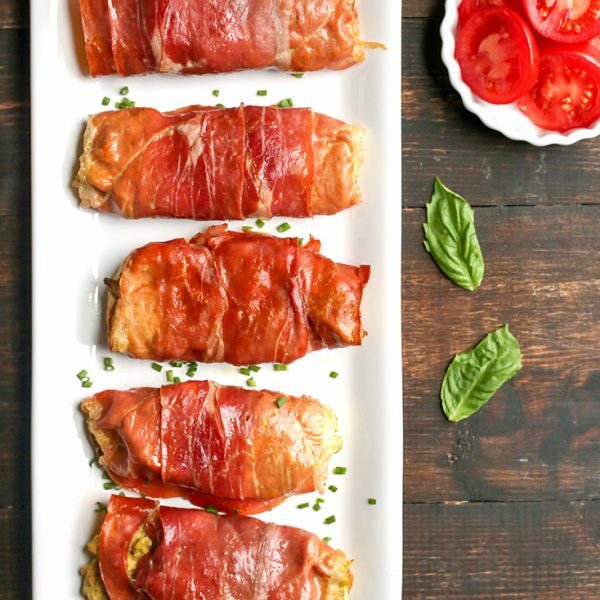 CLICK HERE for the full recipe on Golden Barrel’s site. 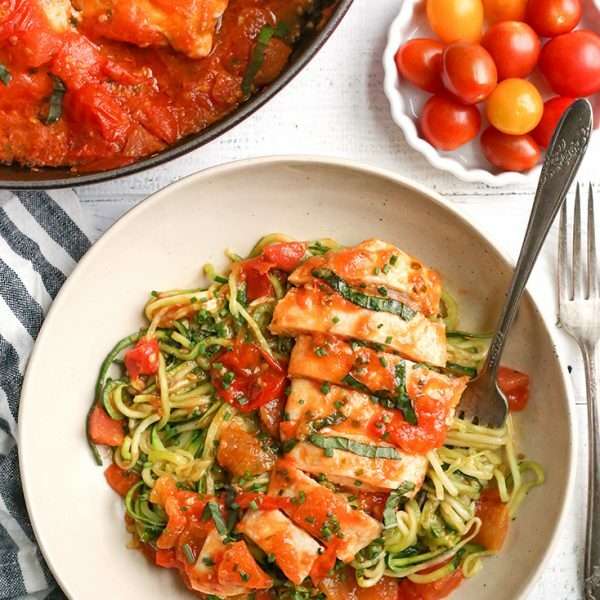 This is so simple, fast, and delicious. 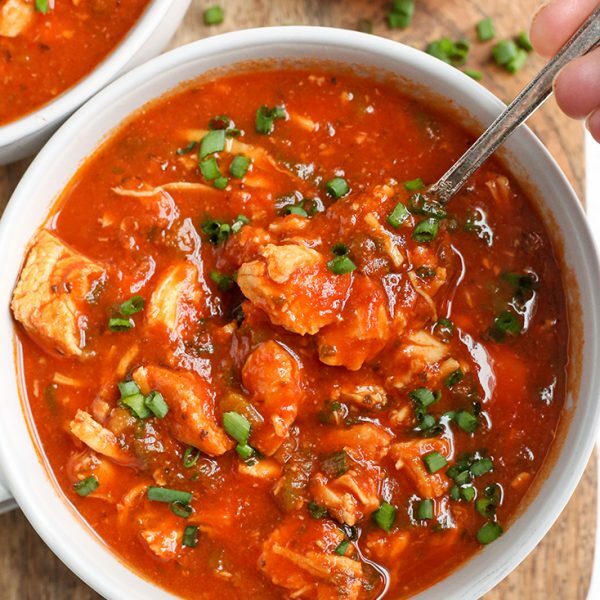 Sounds like the recipes we love to share! Thanks, Georgina! Hope you like it! Thanks, Amber! I hope you love it!